Kids love dinosaurs. This one is cute & green. 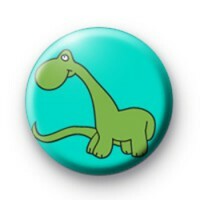 A dinosaur badge popular with the younger boys & girls & perfect for all animal & dinosaur enthusiasts. popular with schools & school teachers. 25mm Button Badge made in the UK.